Bubble Football is the latest craze to hit the UK, if your looking for an activity which is a seriously fun twist on the classical game of 5 a side this is the activity for you. Who doesnt want to play football wrapped in a giant bubble of air? bounce, tackle, flip the funniest game you have ever seen, even better than curbe!! Bubble Football is exactly what it says on the tin, playing football in bubbles. The fun twist on the sport results in heaps of laughter and bumping around that will no doubt make you feel like a young kid who is excited to play again. The Game can be played on surfaces like 3G pitches, Astro Turf and sports hall (depending on your preference), that will lead to fantastic jumping, shooting, bouncing and tackling in the giant bubbles. The game commonly called zorball it is an event where hilarious history is created and will stay with you forever to laugh about. This event is perfect for Stag Dos, Hen Dos, Kids Parties, Corporate Events, Carnivals, Office fun days, Festivals any occasion that you would like to in inject some fun into. Bubble Bull-Dog consits of 10 player in total with on of them (the BullDog) standing in the centre of the pitch. The aim of the game is for all remaining players to run from one end of the pitch to the other without being knocked over by the BullDog. if you are knocked down then you join the bulldog, so on and so forth. Last player standing wins. 1 versus 1 knockout consits of splitting the team into pairs and going head to head! Each player starts from opposite ends of the pitch with the football being placed in the centre spot. The object of the game is for the first person to score a goal in the opposing teams net... but first both players must run towards each other and collide before touching the Football. Last player standing consists of all players forming a huge circle in the middle of the pitch whilst in their zorbs. When the event coordinator instructs, all players run to the centre of the circle causing bubble mayhem! if your knocked doen, your out, the last player still standing wins. A fantastic party for my seven year old and his friends. Craig and Danny did a superb job of holding everyone'sattention and making sure everyone got involved and had a good time. 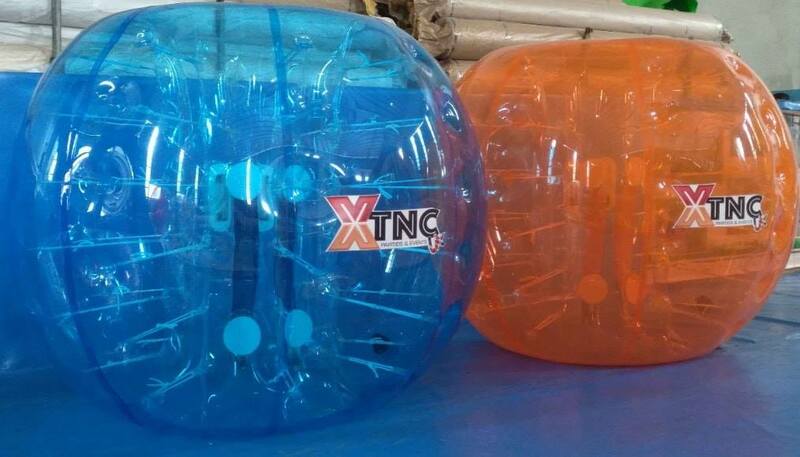 I would be happy to recommend the guys at XTNC to anyone and I'm sure some of the boys at the party will be having their own Nerf parties soon! Thanks guys! My little boy had his 6th birthday party today with xtreme nerf combat and he absolutly loved it. All of his friends enjoyed theirselves thourghly and would recommend the lads for any age of party. Thankyou very much. My little boy Thomas and all his friends had a fantastic fun-filled party today! The event was well organised and whilst booking the party Craig was always doing his best to accommodate our needs! Thanks guys for a fantastic party, one that the boys will never forget! Great fun! My son (and I ) had an amazing time at his friends party today! He can't wait for his birthday next May so he can have one himself. Great idea! Good way to get children active and away from computers & xboxs! There's not much in the area for young children to do and it's great way for them to make new friends who enjoy the same hobbies! A lot of effort and planning has gone into this event! And I would highly recommend everyone give it a go! Great time at Accrington Nerf event, my kids loved it. They guys were great with them and was very well run. Looking forward to the next one !!! Benji had a fantastic day, thanks guys for an awesome party! Well organised and highly recommended! See you again! Fantastic set up for my son's 7th birthday party today . I would highly recommend theses guys to anybody . Definitely well worth the money . All kids well entertained . Kids loved it, would highly recommend and will be booking again on the next event. Cheers Aaron and Craig. Fantastic! Booked a nerf combat party for my daughters birthday, they loved every minute of it! Would highly recommend it to anyone + everyone! Had a really good time! My son of 5 years really enjoyed the whole Nerf experience as did the adults. Thanks guys! Ray's 7th birthday. All the kids there loved it including the older ones. Well organised and great fun. You can't help but join in! !